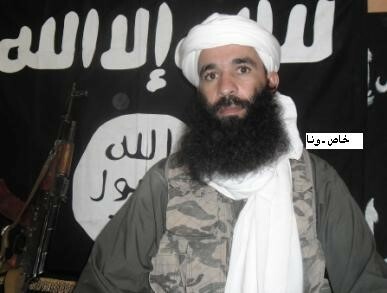 AQIM’s Algerian leadership has appointed al-Vourghan Brigade leader Jemal Oukacha (a.k.a. Yahya Abu al-Hammam) as its new Saharan amir (Agence Nouakchott d’Information, October 4). Al-Hammam’s appointment was intended to fill a vacancy created when Nabil Makhloufi (a.k.a. Abu al-Kama) was killed a month ago, allegedly in a “car accident” in the desert between Gao and Timbuktu (Le Temps d’Algerie [Algiers], October 5). Al-Hammam is a native of Reghaia, a town in Algiers Province in northern Algeria, and has been involved in Islamist militancy since 2000, when he finished an 18-month term in prison and joined the Groupe salafiste pour la prédication et le combat (GSPC), which later became al-Qaeda in the Islamic Maghreb (AQIM). The young jihadi began to come into prominence through his participation in several raids against Mauritanian and Algerian military posts under Mokhtar Belmokhtar and Abd al-Hamid Abu Zaid. In 2006, al-Hammam was sentenced to death in absentia in Biskra on terrorism-related charges. By 2010 he was heavily involved in the kidnapping of European nationals in the Sahel region with the Vourghan Brigade (Liberté [Algiers], October 6). Al-Hammam is believed to be very close to AQIM leader Abd al-Malik Droukdel (a.k.a. Abu Mus’ab Abd al-Wadad) and his appointment can be seen as an attempt by the Boumerdes-based leadership to reassert their authority in the wild Sahara/Sahel sector, where movement commanders have grown used to a large degree of autonomy in their operations and decision-making. Al-Hammam’s promotion appears to have come at the expense of Mulathamin Brigade leader Mokhtar Belmokhtar, who was reported to have been seriously wounded in a clash with Tuareg rebels earlier this year (see Terrorism Monitor Brief, July 12). 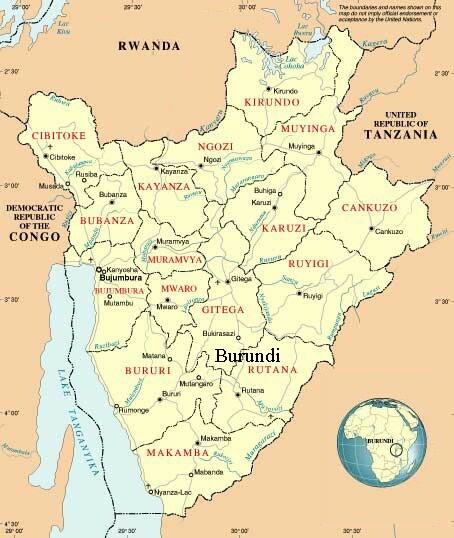 If this is the case, the appointment may well create new tensions within the movement, but the decision marks Droukdel’s intention to establish firmer control of the movement’s southern brigades in anticipation of a major confrontation with ECOWAS, African Union or Western forces in northern Mali in the coming months. News of the appointment was apparently accompanied by orders from the AQIM leadership to Abd al-Hamid Abu Zaid and others to respect the decision (El-Khabar [Algiers], October 6). It has been reported that the division of spoils from AQIM’s lucrative Saharan kidnapping business has been a recent source of friction between the movement’s southern amirs. AQIM’s dominance in the Sahara/Sahel region is now being challenged by the rival Movement for Unity and Jihad in West Africa (MUJWA), which is attracting large numbers of sub-Saharan recruits (Jeune Afrique, October 14). A spokesman for the Mulathamin Brigade denied Algerian reports that Mokhtar Belmokhtar was injured in a clash between the AQIM Brigade and MUJWA fighters on September 27 (Le Temps d’Algerie, October 1). Nonetheless, al-Hammam’s appointment is in part an effort to reinvigorate AQIM’s profile in the region. With an external military intervention in Mali very unlikely before the end of the year, both AQIM and MUJWA have an opportunity to rally supporters and prepare an armed response. MUJWA leader Omar Ould Hamaha has warned France against adopting an aggressive stance against the Islamists of northern Mali as well as claiming Mauritania’s armed forces would be no match for MUJWA fighters, who he says are more experienced and better armed than Mauritanian troops (al-Akhbar [Nouakchott], October 6). Algeria appears to be favoring an approach that would simultaneously encourage dialogue with northern Mali’s Tuareg rebels (without exclusion) while isolating AQIM and MUJWA from the local community (Tout sur l’Algerie [Algiers], October 12). One of the most prominent Islamists to emerge as a political power in Libya’s post-Qaddafi era has offered his views on the controversial September 11 attack on the U.S. consulate in Benghazi that left four Americans dead. The remarks, carried in an October 9 interview by pan-Arab daily al-Sharq al-Awsat, were made by Abd al-Hakim Belhadj (a.k.a. Abu Abdullah al-Sadiq), head of the Islamist al-Watan (“Homeland”) Party and the former head of the post-revolutionary Tripoli Military Council. Belhadj is also a former amir of the al-Qaeda-associated Libyan Islamic Fighting Group (LIFG) and is believed to have received close support from Qatar during the revolutionary period. The information we received is that the issue at the beginning was spontaneous. The people gathered in front of the consulate, and then an exchange of fire took place between the two sides – between the consulate’s guards and the demonstrators, some of whom were armed. This has later resulted in the regrettable action which claimed the life of the U.S. ambassador. We are waiting for the results of the investigations that will provide us with the firm information represented in the facts that will condemn parties and lead us to know those responsible. We are fully aware that this despicable hate film, “Innocence of Muslims,” does not reflect the American people’s views, and that the producers of this film are an extremist minority. The unequivocal condemnation of the film by U.S. officials made this quite clear. 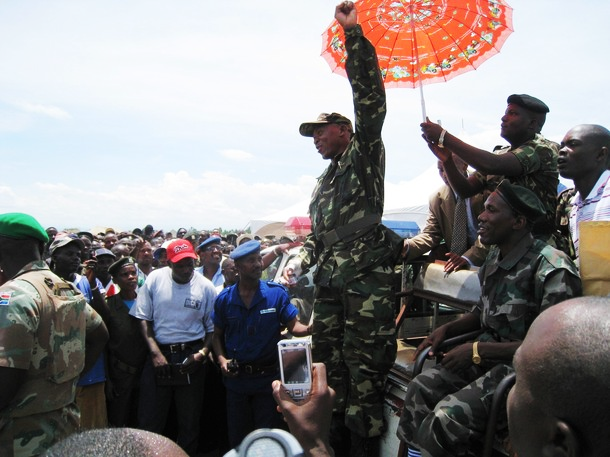 Indeed, a careful analysis of the situation suggests that there is no conflict between our peoples. Rather, a hate campaign led by a small number of extremist Islamophobes has led to unacceptable counter-reactions by small extremist groups. As in the U.S., these extremists do not reflect mainstream opinion (Guardian, September 21). Though Belhadj is certain to be better informed on the attack than he seems prepared to reveal, nevertheless the former militia commander appears committed for now to a political approach to determining Libya’s future through his Watan Party and is more closely associated with the consulate’s Libyan February 17 Brigade guards than with the parties most likely associated with the attack. However, Belhadj still has reservations about a general demobilization and disarmament of Libya’s roving militias, suggesting that the government should work out a plan to absorb the ex-revolutionaries “and stop chaos, which the proliferation of these groups and weapons may cause.” Nonetheless, Belhadj calls for the establishment of a capable national security administration before the disarmament process, “because if we start with collecting the weapons before building the establishment, this may have an adverse result and this vacuum may be exploited by those who want to shake security or destabilize the country.” Unfortunately, it is unlikely that the state can establish a functioning security role until the militias turn in their weapons, thus leaving the state permanently vulnerable to bursts of political violence such as the one that claimed the lives of U.S. diplomatic and security personnel in Benghazi. Belhadj was in Benghazi in April, 2011, where he helped organize a new Islamist militia known as the “February 17 Brigade” (al-Hayat, January 2). It was this same militia that was later responsible for providing local security at the U.S. consulate in Benghazi. Included in the security force for the Benghazi consulate proper were four members of the Islamist February 17 Brigade, described by a State Department source as “a friendly militia which has basically been deputized by the Libyan government to serve as our security, our host government security.” A further 16 militia members were part of the quick reaction security team based at the CIA compound described as the consulate’s “annex.”  Members of the militia engaged with the consulate’s “Special Protection Unit” complained of a lack of training, inadequate weapons and equipment and a general lack of cooperation from the U.S. embassy that culminated in the unit receiving no response to calls for backup during the assault on the Benghazi consulate (al-Sharq al-Awsat, October 7). Formerly led by Islamist Fawzi Bu Kataf, the February 17 Brigade possesses a quantity of heavy weapons and can field 1500 to 3500 fighters (BBC, September 28). Bu Kataf was replaced by Colonel Amraja’a al-Msheiti as commander on September 24 (AFP, September 24). The Martyr Rafalllah Sahati Brigade – Formerly led by Ismail al-Salabi (brother of Libya’s leading Islamist, Ali al-Salabi), the Brigade began as a battalion of the February 17 Brigade before forming an independent command during the anti-Qaddafi revolution. On September 24, the Brigade’s commander, Shaykh Muhammad al-Garabi, was replaced by Colonel Salah al-Din bin Umran (AFP, September 24). The Libya Shield Brigade – Led by Islamist Wissam bin Hama’ad, the Libya Shield is the most powerful armed group that can be called on by the new Libyan government and has been sent to remote regions such as Kufra Oasis to quell tribal violence and establish the writ of the government. The Martyrs of Abu Salim Brigade – Prominent in the revolution, the Islamist group was expelled from four public buildings by demonstrators on September 21 (AFP, September 22). Ansar al-Shari’a – The Ansar have engaged in the destruction of Sufi shrines and participated in an attack on the U.S. consulate in Benghazi in June but have denied having any role in the latest consulate attack despite eye-witness accounts placing Ansar al-Shari’a fighters at the scene and movement spokesmen later responding to news of the assault with approval. 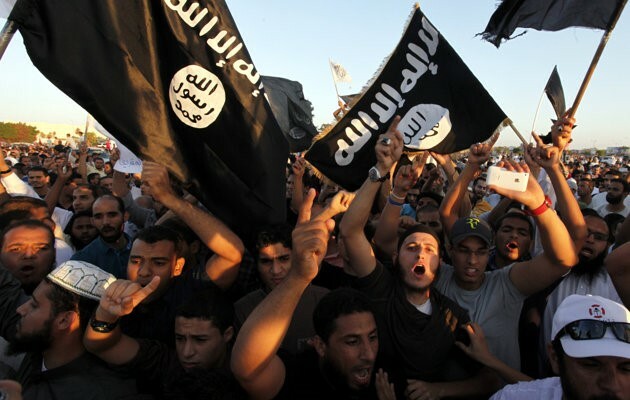 The movement is a fierce opponent of democratic initiatives in Libya and is believed to have carried out a number of prominent assassinations, including the July 28 murder of General Abd al-Fatah Yunis and two of his aides (see Terrorism Monitor Brief, August 4, 2011). 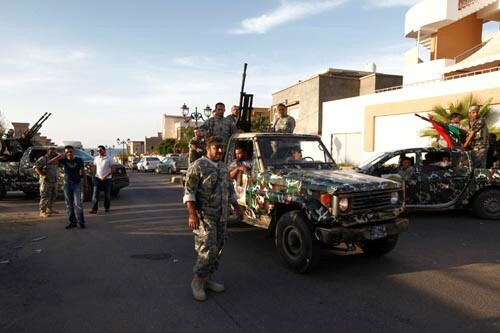 After being driven from their compound and base at Benghazi’s al-Jala’a hospital by hundreds of angry demonstrators, Ansar al-Shari’a fighters are reported to have fled Benghazi and Derna for their home turf in the Jabal Akhdar mountains of eastern Libya with some 150 to 200 men and 17 vehicles (Guardian, October 9). Libyan leader Muhammad al-Megaryef has used public anger against the militias (who appear to have been surprised by the degree of resentment expressed by protesters in Benghazi’s September 21 anti-militia demonstrations) to try and bring the leadership of the “loyal militias” into line with the nascent Libyan government security forces by assigning Army chief Yusuf al-Mangush to replace their commanders with colonels from the official Libyan military (BBC, September 24). Despite such efforts, there is a near certainty of a retaliatory drone strike targeting armed militants responsible for the consulate attack before the U.S. presidential election. Numerous drones have been reported by local observers in the night skies over Benghazi, though it is difficult to confirm the accuracy of such reports. Abd al-Hakim Belhadj has publically warned the United States that it would be “unwise” to “send drones into Libyan airspace or [send] naval destroyers to its shores” (Guardian, September 21). 1. State Department Background Briefing on Libya, Washington, D.C., October 9, 2012, http://www.lawfareblog.com/2012/10/state-department-background-briefing-on-libya/. This article first appeared in the October 18, 2012 issue of the Jamestown Foundation’s Terrorism Monitor.